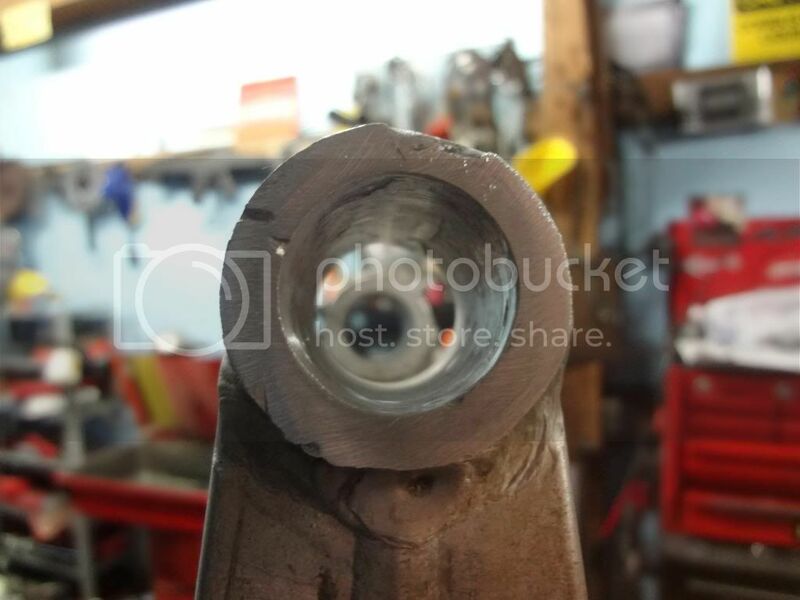 Its hairline but all the way through....get a new one or weld this one back shut? 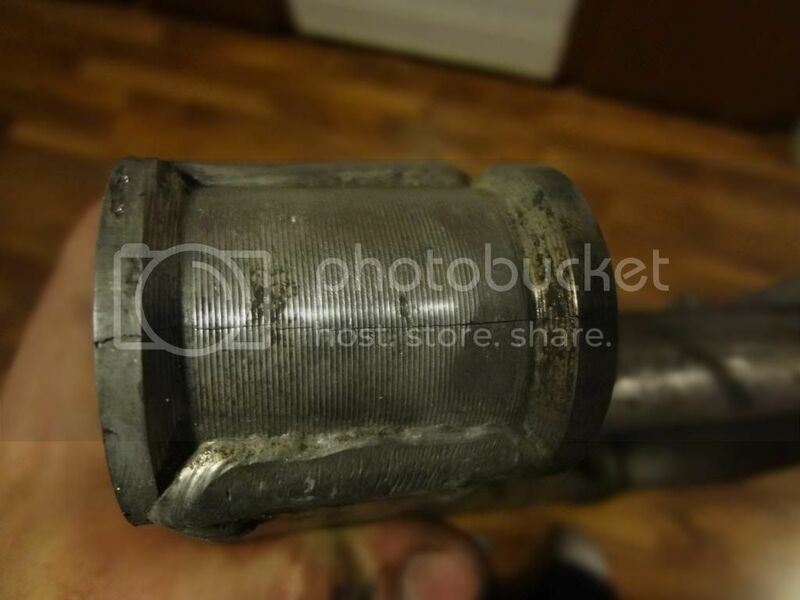 Re: Weld it or replace it? I would probably groove it and weld it to get you going but then source another one for piece of mind. I think a weld could hold up long term, depending on the quality of weld? good idea to make sure it gets grooved first though......wonder if welding will distort it too much though? If you try to weld it and it fails again? If you don't try, you'll never know. But it certainly looks like its worth a go by someone who knows what they are doing. 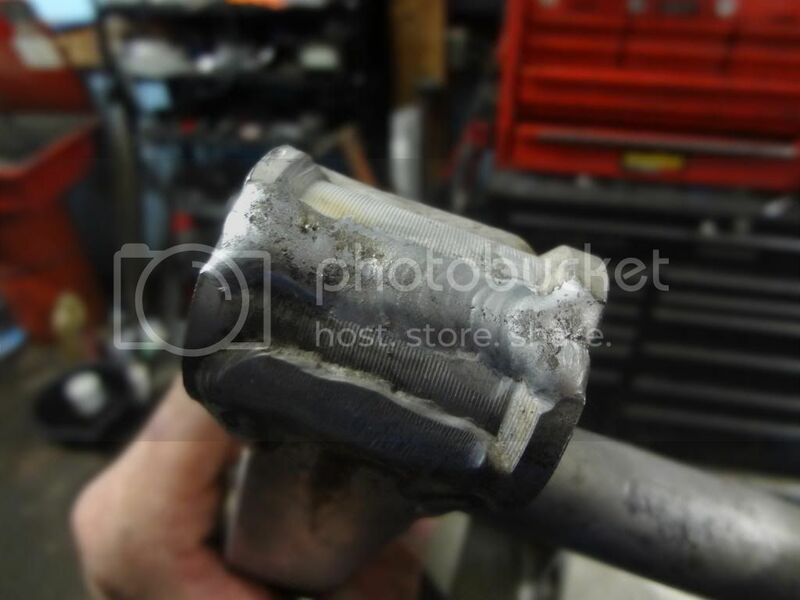 If your worried about distortion you could fit a bush inside and clamp the out side before you prep and weld. A decent fabricator would do this anyway if your taking it somewhere to get done. Leave it clamped until it is fully cooled. Im thinking welding it should suffice as it's probably been cracked for awhile anyway! Im guessing the drive from the rear wheel would be trying to push it into the bike more than pulling it away. Then again it is cracked so i could be wrong there, ha ha! I know you said you are powder coating your swingarm. I think that is ok, but check out if it changes the surface tension of aluminum. I read an NTSB report from a helicopter crash one time where a control rod had broken in flight. The cause of the accident was the annodization of the control rod. Evidently, the helicopter was a pretty custom show chopper, and the owner had all the control rods annodized. the annodization actually changes something in the aluminum's surface structure and caused the control rod to lose about half its strength. Considering the abuse a swingarm takes, it might be worth knowing if that will affect the aluminum. It will probably last forever now,ha ha!